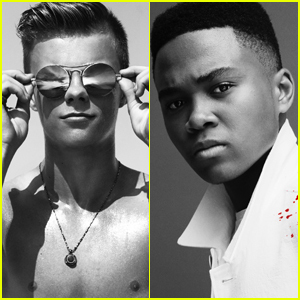 Alexandra Shipp & Nicholas Hamilton Join the Cast of ‘Endless’ | Alexandra Shipp, Casting, Nicholas Hamilton | Just Jared Jr.
Alexandra Shipp and Nicholas Hamilton are officially the stars of Endless! The two actors have signed on for the romantic drama which was written by 13 Reasons Why‘s Rohit Kumar. The film follows Chris and Riley, two madly in love teenagers, who are separated when a fatal accident leaves one of them stranded in limbo between life and death. Chris watches Riley grieve in agony until they find a way to connect and share exhilarating, deeply emotional moments that transcend life and death before Riley must ultimately let go. The film will also feature DeRon Horton. Endless is currently in production in British Columbia. Annalise Basso Gives Off Red Dress Goals at SAG Awards 2017!